Nokia has indicated to lower prices of 4G and 3G mobile phones in India to leverage operators' plans to launch high speed 4G services and boost its market share in the country. Berlin: Nokia has indicated to lower prices of 4G and 3G mobile phones in India to leverage operators' plans to launch high speed 4G services and boost its market share in the country. "We want to continue to push point lower and lower than anything we have today. That's the statement for both 3G and LTE (4G) because that is the thing which gives us scale of the ecosystem," Microsoft's Mobile Device Sales, Corporate Vice President Chris Weber told PTI. Microsoft has acquired Nokia's mobile phone business. Nokia, once a global leader in mobile phone market, has been relegated to third position in India due to growing popularity of Android based smartphones and increased competition from Korean giant Samsung and domestic mobile vendors. 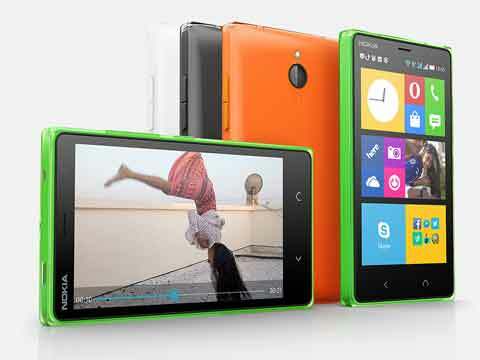 Nokia's cheapest 4G phone Lumia 635 is priced at around Rs 11,300 before taxes but it is not available in India. "We are also trying to push price point even lower on LTEdevices like 635 to take advantage of that (Indian telecom operators plan to launch 4G services) opportunity. The goal is to make sure that we have a full portfolio that plays into that opportunity," Weber said. The company has plans to launch its latest 4G enabled phone Lumia 830 priced at around Rs 26,000 before taxes by October, as per sources. Microsoft Devices also unveiled another 4G enabled handset Lumia 735 priced at around Rs 17,500 but sources were not sure about company's plan to launch this model in India. Many telecom operators have not rolled out 4G network in the country due to shortage of affordable 4G devices, among other reasons. Consumers may get about 10-12 times more Internet speed on mobile phones in 4G compared to average speed they get in 3G services. Reliance Jio Infocomm holds pan India broadband wireless spectrum, which can be used for 4G services. The company has announced its plan to launch the latest telecom service in 2015. Other holders of this spectrum include Tikona Digital and Augere, who are yet to start their services. Aircel has announced launch of its 4G service in 6 service areas against eight circles where it holds BWA spectrum. Airtel, Reliance Jio, Vodafone and Idea have plans to provide 4G services in the 1800 Mhz band, which has been used so far for providing 2G services. Weber said that Microsoft Devices has been discussing with Indian telecom operators for partnership. "We have lot of conversations going on with operators but specifically we are very bullish on LTE opportunity in India. Our conversation had been quite productive," Weber said. As per market research firm International Data Corporation (IDC), Nokia was the third largest player second quarter of 2014 in Indian mobile phone market with 10 per cent share. Samsung topped the chart with 17 per cent and closely followed by Indian brand Micromax with 14 per cent share.